and empowering people to make informed decisions about pest management. Develop Web- and App-based pest surveillance, detection, and Alert Systems for farmers and regional management organisations, including the highly successful FeralScan community pest mapping resource, new incursion detection and response services, biocontrol tracking, and citizen science programs. Deliver training to farmers, landholder associations, community-groups, local government and regional stakeholders using digital technologies and services – tailored to the needs of individuals. Promote community access to and adoption of pest control resources including the latest pest control technologies, advice and extension services, as well as connect people to support services, pest control professionals, regional organisations and local community organisations. Develop data management services for invasive species information sharing across all states/territories of Australia, enabling a client-focused system for data access and real-time data sharing of invasive species data (including citizen science data). Promote access to pest control resource toolkits (including online services) by farmers, community groups, local government organisations, landholder groups, regional NRM bodies, and pest management agencies. Build enduring local, regional, government, business and community partnerships to promote collaborative and coordinated involvement in invasive species management and RD&E. Peter is a Senior Research Officer and Invasive Species Officer (Engagement) within the NSW Department of Primary Industries, in Orange. He has 20 years’ experience in invasive species research and wildlife management. He is a national facilitator and project leader for the Centre for Invasive Species Solutions, working to empower communities, develop community surveillance technology, support networks, build community capacity and design citizen science programs to involve community in invasive species management. He recently received a prestigious national Banksia Award for innovation in citizen science. Peter West, NSW Department of Primary Industries. 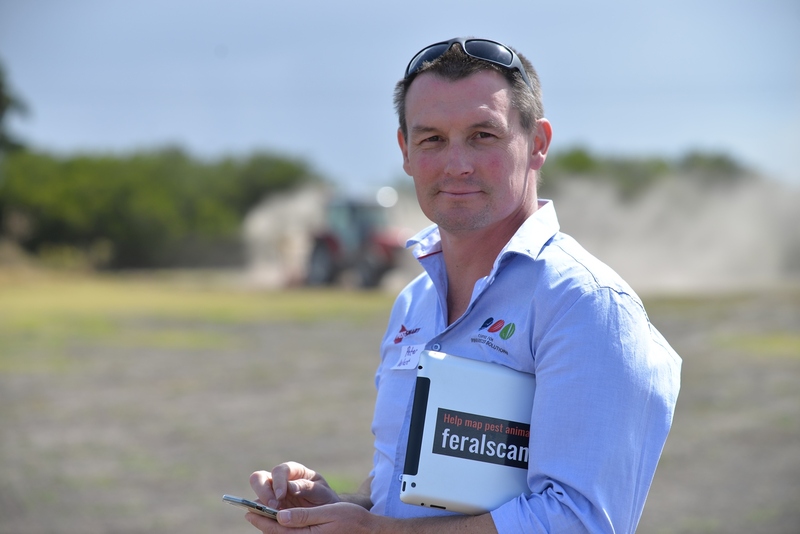 Dr Peter Fleming, Research Leader – Predator and prey management, NSW Department of Primary Industries. FeralScan is successfully supporting adoption of its web and App-based community pest surveillance platform. including usage of enhanced alert notification services and online closed-group functionality, by community user groups, regional biosecurity groups and government biosecurity stakeholders across NSW, SA, Vic, WA and Qld. 20,500 users of FeralScan, (comprising 15,500 total registered users plus 4,950 non-registered users) – including 3,787 NEW registered users since July 2017. 109,700 total FeralScan records of pest animal species, and 10-15K images – 43,000 new pest animal records since project commencement in July 2017. 308 user groups registered as ‘closed private groups’ within FeralScan (total private registered user groups) plus 30-50 additional groups using FeralScan as registered individuals. Communication of 2,500 Wild Dog Alert notification emails to landholder groups, wild dog control associations, Biosecurity agencies and stakeholders. In 2018, the DeerScan community feral deer reporting website and app became available via www.deerscan.org.au. A national CarpMap website and Questionnaire survey was also designed and deployed in partnership with CSIRO and Fisheries Research and development Corporation (FRDC). This was launched and is available from www.carpmap.org.au. Results include completion of the Survey by 600 members of the public.